The traditional method to treat cancer has always been chemotherapy for most types of cancers. For others, radiation is needed. 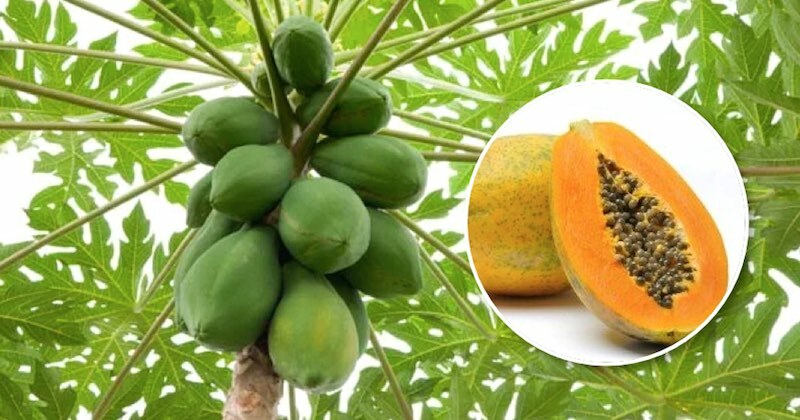 A group of students from the University of Karachi has taken matters into their own hands and decided to explore health benefits of the fruit, papaya. Turns out this fruit doesn’t just have its delicious taste as a benefit, but it can treat cancer, and more than one University has conducted studies to provide proof. Papaya leaves provide a critical role in health. What makes papaya leaves so unique is because they have a milky sap and contain acetogenins, which is essential for preventing and killing the growth of cancer cells. Acetogenins are a group of natural phytochemicals that have anti-tumor activities. Research reveals that papaya leaves can even put a halt to the growth of breast cancer cells, stop metastasis, while normalizing the cell cycle. Scientists at the University of Illinois are confident that the antioxidant activity is what leads to papaya being effective as an anti-cancer agent. The scientists also found that papaya leaves contain agents that can stop cancer in its tracks, especially cancer of the lung, liver, breast, and cervix. You can take advantage of these life-changing papaya leaves by having papaya leaf tea. Preparing this tea requires 10 leaves that are cut up. Boil the leaves in one-half gallon of water until the amount reduces to a quart and let it cool. It’s best to store the tea in the refrigerator for up to two days in a glass jar that has a tight lid. Go here, to learn more about the many reasons to drink papaya leaf juice and how to make it. Just as with any fruit, people tend to toss the seeds in the trash. Before ditching papaya seeds, you may want to rethink your decision. The seeds may have an unusual taste—kind of a mixt between black peppercorn and mustard. If you can get past that taste, you can reap several health benefits. 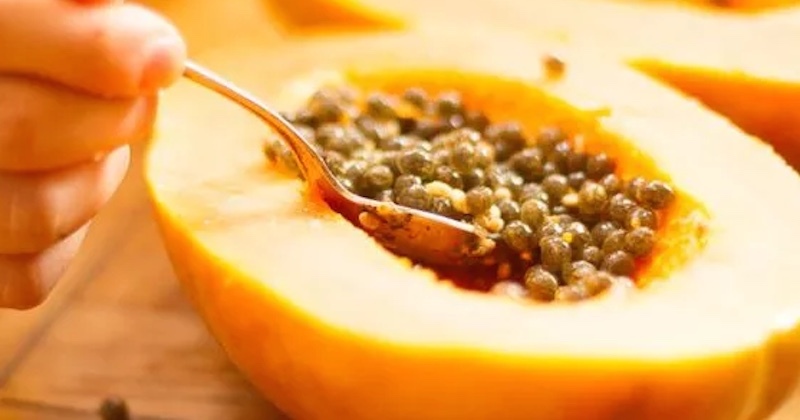 Not only can papaya seeds keep cancer at bay, but you can also kick other issues to the curb like parasites, liver cirrhosis, staph infection, E.Coli, and even food poisoning. Because papaya seeds are so potent and powerful, you don’t need many in one sitting. Eating the seeds is simple; all you have to do is scrape them out and eat a few at a time. Once you are done indulging in your new superfood, store the remainder of the seeds in your refrigerator if you plan on using them regularly. However, if you only want them occasionally, you could opt to store them in the freezer. Related reading: How to eat papaya seeds to detoxify liver, kidneys and heal digestive tract. The orange-pink color of the papaya means it’s loaded with cancer-fighting carotenoids. Not only does this fruit have beta carotene, but it also has an abundance of lycopene, which is highly reactive toward free radicals and oxygen. Several epidemiological studies revealed there is a relationship between consumption of lycopene and the risk of prostate cancer. Lycopene is bioavailable and it accumulates in the prostate tissue, preventing cancer. Another powerful compound found in papaya is called isothiocyanates. During animal experiments, this compound was shown to protect against cancer of the prostate, pancreas, colon, lung, and breast. Isothiocyanates have the same potential to prevent cancer in humans. Researchers discovered the relationship between cell cycle regulation and cell death. Once the cancerous cells die, they typically don’t cause any further issues. The many remarkable health benefits of the papaya fruit. Tips on what to look for and how to choose a non-GMO papaya. Incorporating this superfood into your diet is easy due to its flavor. You can add it to smoothies, mix it with other fruit, put it in oatmeal, or eat it plain. This information is not to replace your doctor’s advice, but rather be informed of the newest research and studies available that indicate papaya is an essential way to prevent and treat cancer.